On the outside, the two special models are painted in BMW Individual Metallic Black Gold or BMW Individual Solitaire White. 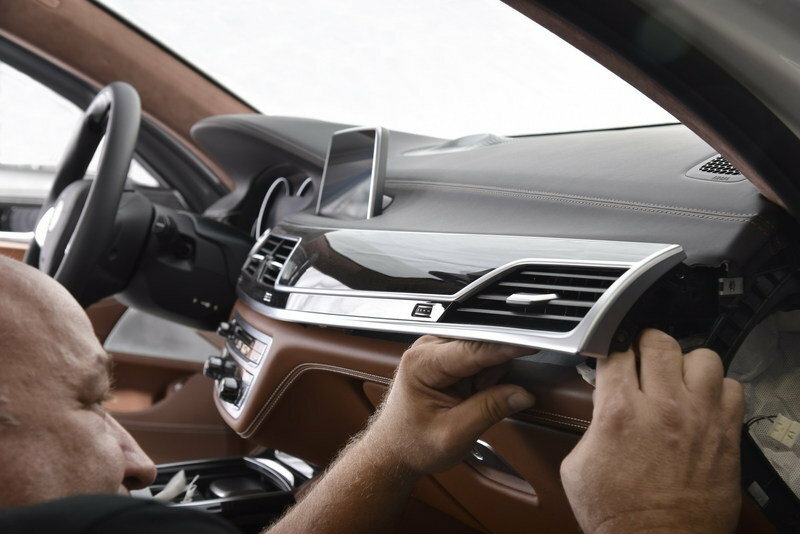 Both colors are said to “underscore the expressive design language of the new BMW 7 Series.” The colors are actually complex to create and involve embedding fine glass flakes into one of the final coats of paint. This method gives the color a deep-gloss appearance that is unparalleled by other models. 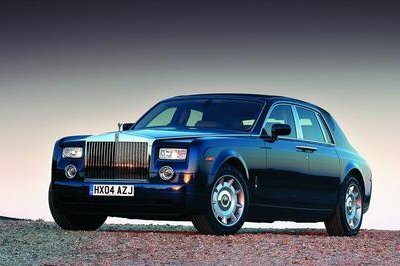 Outside of this, the only other changes to the exterior include a chrome plaque on the C-pillar that has the word “Solitaire” embossed on it, and a decorative rear trim that features the name of the edition – making it stand out even more. BMW Individual knows that the passenger cabin is where owners will spend most of their time, and that is why things really start to get amazing on the inside. To start off, BMW Individual replaced the headliner with one that is wrapped in Tartufo colored Alcantara. Below the headliner, you’ll find fine-grain, full leather Merino upholstery that shares the same color as the Alcantara headliner. 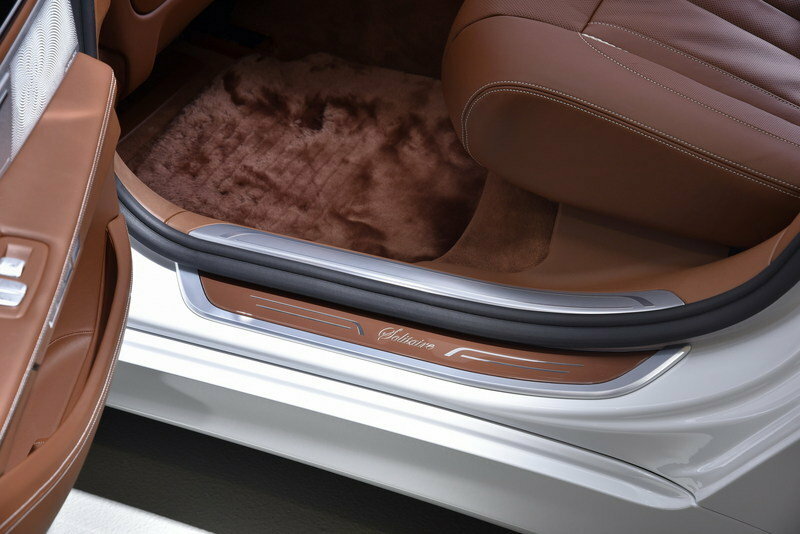 Down on the floor, BMW Individual has added some exclusive soft floor mats made from sheared lambskin. These floor mats also share the Tartufo coloration, bringing a uniform color layout to the interior. The door trim inserts and storage compartments are finished in color-matching leather, and hidden away behind the center backrest in the rear seat is a refrigerated compartment perfect for storing a tasty bottle of champagne. Lifting the access door on the rear center console reveals tulip sparkling wine glasses. A silver-plated plaque featuring the edition name and the production number has also been placed on the center console to remind the owner or passengers just how exclusive the vehicle is. Adding even more flair to the interior, there are five diamond inserts available as an option that can be applied to the front dash, and each door trim panel. Sounds like something you would find in a Bentley limo, right? BMW Individual didn’t stop with the passenger compartment either. Opening the rear decklid shows off even more exclusive design and fine workmanship. The entire luggage area is wrapped in Tartufo-colored Alcantara – like the headliner in the passenger cabin. It’s not a bad touch, but there’s more. These special edition models also come with an exclusive key storage box finished in BMW Individual Black Piano paint with a pearlescent insert on the lid. Diamond inserts and an inlay with Alcantara leather lining are also an option for the key storage box. Under the hood, you’ll find BMW’s TwinPower Turbo V-8 engine, which produces 450 horsepower and 479 pound-feet of torque. With this drivetrain, these special edition models can hit a 62 mph sprint in 4.7 seconds, with a stop speed of 155 mph. Considering the weight and size of the 7 Series, those are some pretty decent performance numbers. Also, since these special editions are based on the 750Li xDrive, they boast AWD for the best handling possible. 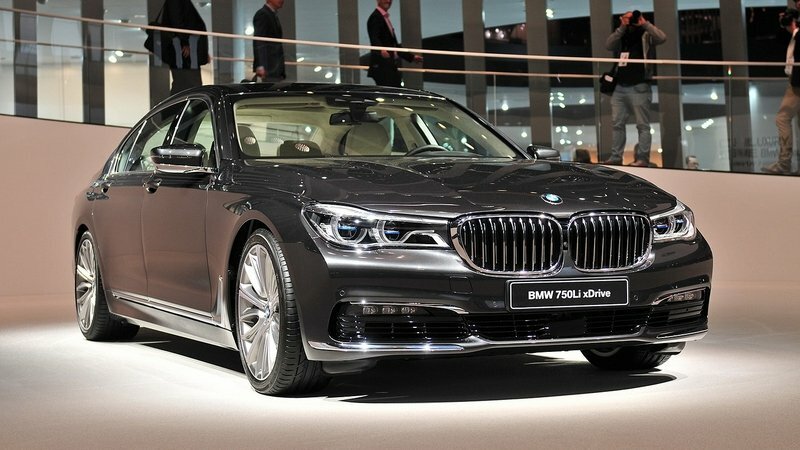 Until BMW finally musters up the courage to introduce a 9 Series to its lineup, the BMW 7 Series is BMW’s flagship sedan. It’s been produced continuously since 1977, with 2016 being the newest generation. The 7 Series is normally the first in BMW’s lineup to receive new technology and features before they are offered on models below it. 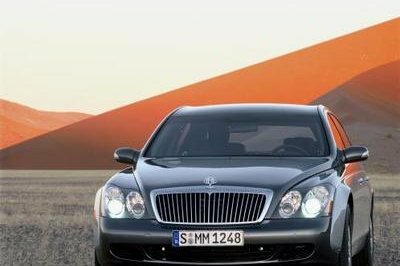 As of this writing, the 7 Series is available only as a sedan in three different trim levels. There’s the 740i Sedan that has a 3.0-liter six-cylinder. It produces 320 horsepower, can hit the 60 mph sprint in 5.4 seconds, and starts out at $81,300. The next available trim is the 750i Sedan, which boasts a 445 horsepower, 4.4-liter V-8 that pushes the sedan to 60 mph in just 4.7 seconds. This mid-range model starts out at $94,400. The range-topping 750i xDrive Sedan features AWD and a 4.4-liter V-8 that produces 445 horsepower (like the base 750i sedan), but it can hit the 60 mph sprint in just 4.3 seconds. This range-topping model goes for $97,400 before taxes, options, and delivery. Building the best automobile always was and still is BMW’s primary motivation. However, even the best vehicle can always be attuned even more individually to the customer’s personal preferences. It is precisely for this reason that BMW Individual Manufactory has been synonymous with individualisation of the highest level for more than 20 years now. “The BMW Individual Manufactory is not so much a place where masterful craftsmen provide vehicles with solutions that are tailor-made to the individual ideas of our customers, but rather an attitude driven by the aspiration to offer maximum customer orientation and to ensure that our customers’ wishes become reality,” says Frank van Meel, CEO of BMW M GmbH, which is not only responsible for the particularly sporty BMW brand automobiles, but also for the highly exclusive models offered by their BMW Individual division. The BMW Individual Manufactory not only realises exclusive one-off items, but also develops and produces market-specific editions and special models – notable examples being cooperative partnerships with the well-known watchmaker Girard Perregaux, the world-famous concert piano maker Steinway & Sons or the tradition-steeped silver manufactory ROBBE & BERKING. Along with the BMW Individual Manufactory, the BMW Individual Collection completes the BMW Individual product range. 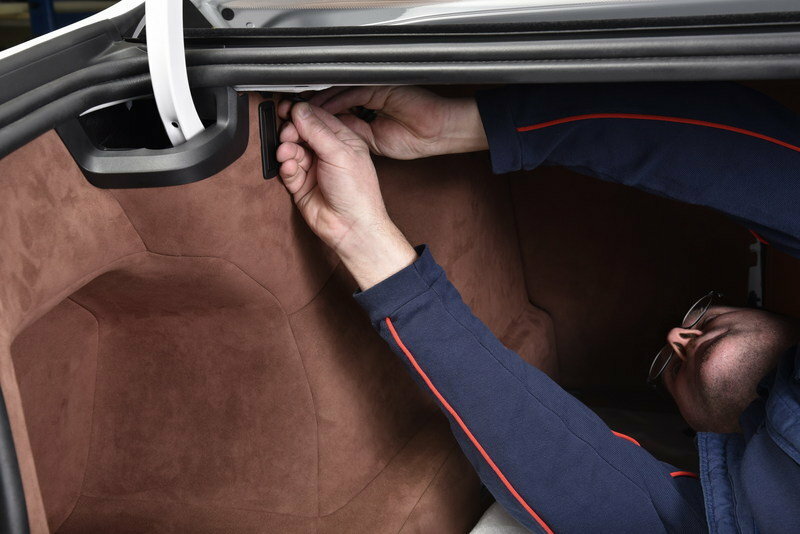 It comprises equipment options that are perfectly aligned to each BMW series, including exclusive body colours, high-grade leather materials, special interior trims and further equipment features. Two highly exclusive edition variants for the new BMW 7 Series. With the new BMW 7 Series, BMW is already setting benchmarks in the areas of contemporary luxury, comfort and innovations. The BMW Individual Manufactory is now raising the bar to an even higher level, once again shifting the boundaries of what is possible. With highly exclusive and finely crafted equipment details, the BMW Individual Manufactory is demonstrating its extraordinary capabilities by developing two highly exclusive edition models based on the BMW 750Li xDrive – the “Solitaire Edition” which is limited to six models, as well as the “Master Class Edition”, of which there will be just one unique version. On the exterior, the two exclusive special colours, BMW Individual Metallic Black Gold and BMW Individual Metallic Solitaire White, underscore the expressive design language of the new BMW 7 Series. These colours can only be applied incorporating an extremely complex method, by which fine glass flakes are embedded into one of the final layers of paint, resulting in a particularly pronounced deep gloss. 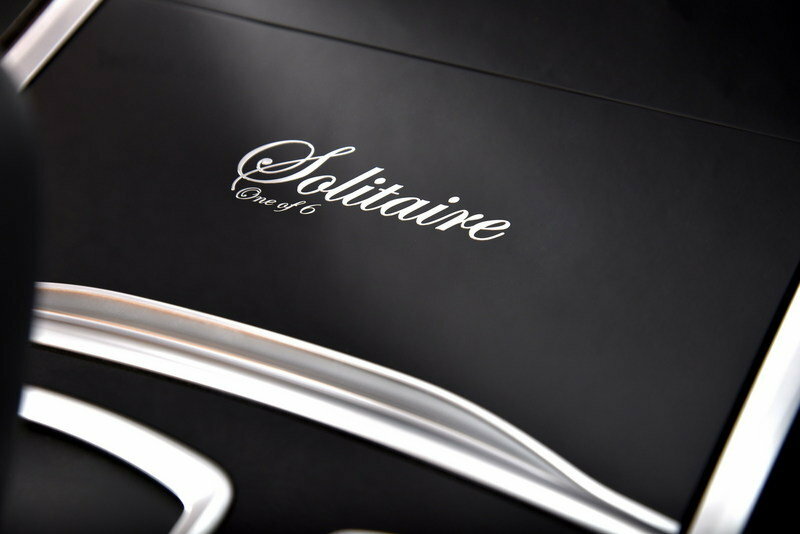 A chrome plaque located on the C pillar of all seven models and bearing the “Solitaire” lettering, as well as a decorative rear trim sporting the name of the edition, provide discreet indication of the vehicle’s uniqueness. The interior reflects a new dimension in aesthetics, luxury and elegance. Inside the car, i.e. where comfort is experienced first hand by the customer, a large number of exclusive features emphasise the aesthetics, luxury and elegance of these edition models. The exclusive BMW Individual fine-grain full leather trim Merino in the colour Tartufo as well as the Alcantara roof liner in the same colour contribute considerably towards the vehicle’s ambience. 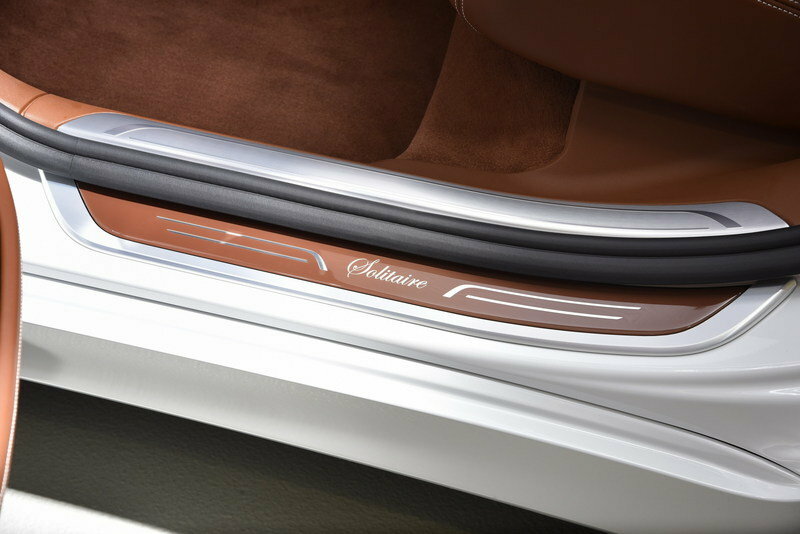 Extremely soft floor mats made from sheared lambskin in Tartufo, storage compartments for cosmetic tissues finished in colour-matching leather in both rear doors as well as soft, Alcantara covered cushions in the colour Tartufo bearing the embroidered lettering “Solitaire” or “Master Class” respectively all enhance the luxurious character of the BMW 750Li xDrive. A bar compartment with tulip sparkling wine glasses and an integrated cooling box in the rear compartment centre console are available for refreshments, whilst a silver-plated plaque on the centre console discreetly informs passengers that they are travelling in a highly exclusive edition model that has been produced only seven times. However, the highlight of these special edition models are undoubtedly the five optional diamond inserts in the interior trims on the dashboard and doors. 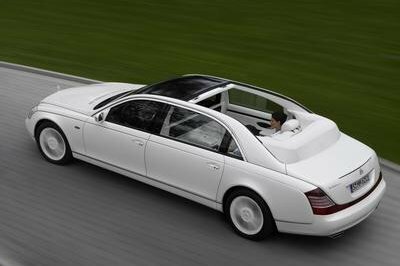 The vehicles exquisite features are also to be found in the luggage compartment. The boot, which is lined with Alcantara in the colour Tartufo, not only protects exclusive items of luggage, but also underpins the stylishly luxurious design that exists everywhere in the vehicle. In keeping with the car’s high-class character, the range of edition model options also include an exclusive box for key storage, at home for instance. It comes with a BMW Individual Black Piano finish and a pearlescent insert on the lid and, like the interior trims, is optionally available with diamond inserts and an inlay with Alcantara leather lining. BMW Individual fine-grain Merino – leather of the highest quality. Seats belong to the few elements of a car with which the occupants are in permanent contact during a journey. Consequently, they contribute considerably towards a feeling of relaxation and to travel comfort. The car features exclusively BMW Individual fine-grain Merino, which is the highest quality leather available for a BMW. Naturally supple and finely structured, the leather pleases with a unique look and feel. This special leather reflects the character of BMW Individual – the choice of best materials and top quality workmanship meet the highest demands. Only flawless, intact hides are used for further refinement. Two processing methods are applied – a special re-tanning process and vacuum drying, which are normally only used for the manufacture of particularly high-grade leather accessories. They lend BMW Individual fine-grain Merino leather its unparalleled elegance and unique sheen. However, thanks to careful processing, the natural quality of the original material remains unaffected; it is extremely durable and breathable, but at the same time very evenly structured and soft, providing the highest degree of sitting comfort. However, BMW Individual not only sets standards in the new BMW 7 Series with the quality of this exceptionally high-class leather, but also with further optional features for the leather trim. In addition to the back panel cladding for the seats, the upper and lower instrument panels as well as the door panels, including the B pillars, are covered with BMW Individual fine-grain Merino leather. Serene comfort and supremacy also for the drive train. 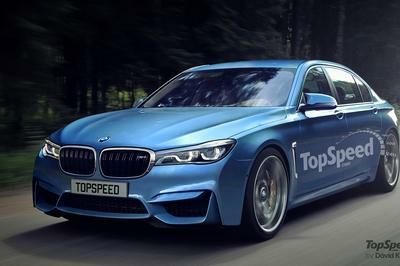 The edition models are powered by a V8 petrol engine with BMW TwinPower Turbo technology. Under the bonnet of the BMW 750Li xDrive it delivers a supreme output of 330 kW (450 hp) and a powerful maximum torque of 650 Nm (combined fuel consumption: 8.0 l/100 km; combined CO2 emissions: 187 g/km)*. 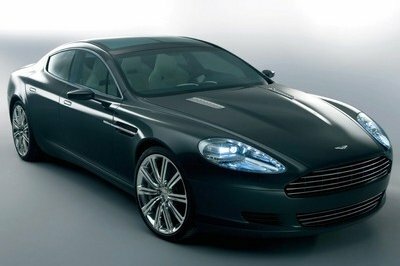 The sedan accelerates from 0 to 100 km/h in a mere 4.7 seconds, reaching an electronically limited top speed of 250 km/h. The intelligent four-wheel drive system BMW xDrive permanently identifies and evaluates the current driving situation, performs the necessary interventions in good time and responds within split seconds to changing road surface conditions. At the same time, power distribution is quickly and precisely varied in such a way as to not only ensure safe and reliable transfer of drive force to the road, but also to guarantee that typical dynamic BMW handling at all times. Therefore, the interplay of engine and drive train ensures a comfortable and safe ride that constantly conveys genuine driving pleasure. The BMW Individual Manufactory – the very best in individualisation. With meticulousness, precision and masterful craftsmanship the most unusual customer wishes are also fulfilled at the BMW Individual Manufactory, as long as they are not contrary to safety regulations, the brand character or legal requirements. The BMW Individual Manufactory offers customers the possibility to be their own “designer” who is able to fall back on a team of specialists that offers support and advice with configuring his or her very own BMW. The result is always a genuine one-off that reflects the individual character of the owner in a most unique way. Moreover, the BMW Individual Manufactory offers diverse possibilities for customisation. There is a choice of more than 100 colours for the exterior alone. But customers are also able to propose a colour of their own or choose a handcrafted Coachline for their vehicle. Whether a uni, metallic or pearlescent finish, high gloss or matt, uni- or bicoloured – it is the customer’s wish alone that is decisive for its implementation. The interior of an automobile is a key area for individualisation, as this is where drivers and passengers have the most intensive contact with the vehicle. Therefore, via the BMW Individual Manufactory, the customer is able to adapt any equipment feature from BMW Individual even more precisely to his or her own preferences. 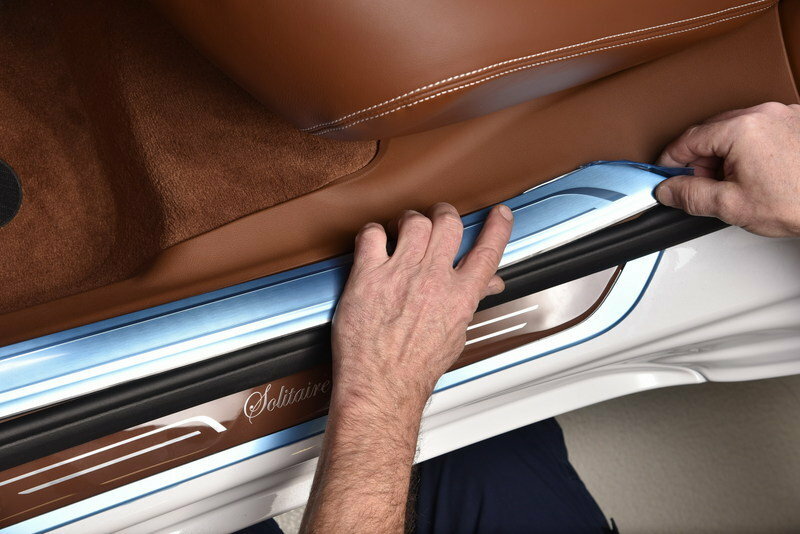 Besides individualization, customers frequently wish to personalise their vehicle, perhaps with initials or logos on interior trims and doorsills, headrests or sun blinds. However, it is also possible to use materials brought by the customers themselves. Therefore, wood from one of their own trees or a salmon skin in the shape of interior trims can also be fitted to the car’s interior. BMW Individual Manufactory experts have the experience and know-how to realise virtually any desired equipment option. The vehicles resulting from this are not only flagships, but also vividly demonstrate BMW Individual Manufactory’s remarkable capabilities. The BMW Individual Manufactory helps customers within a creative atmosphere to redefine the framework of exclusiveness and to push the boundaries of what is possible. The result is always the benchmark and inspiration for customers and developers alike. The special models and one-offs created in this way embody the character of BMW Individual – customer orientation with absolute resolve.